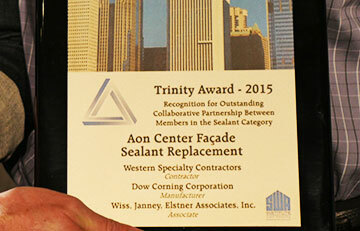 The Western Specialty Contractors – Chicago Masonry Branch was recently honored with a Sealant, Waterproofing & Restoration (SWR) Institute Trinity Award in the Sealant Category for its facade sealant replacement work on the Aon Center in Downtown Chicago, Illinois. The SWR Institute Trinity Award provides an opportunity for member companies to showcase their unique project accomplishments, and recognizes the collaboration of contractors, manufacturers and associate members in three project type categories (sealant/waterproofing/restoration). All entries are judged by a three-person panel of SWR Institute peers, with the winners announced during the organization’s Winter Technical Meeting held Feb. 21-24 in San Diego, CA. 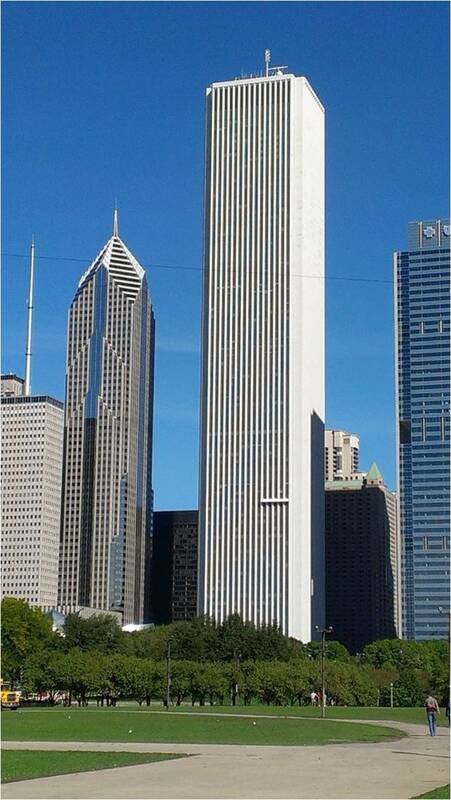 The AON Center, previously named The Standard Oil Building and Amoco Tower, is an 83-story, commercial office high-rise in DowntownChicago originally constructed in 1973. 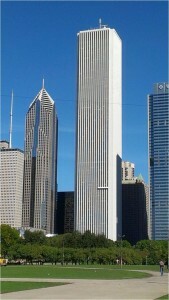 Currently the third tallest building in Chicago, it reaches a height of 1,138 feet. 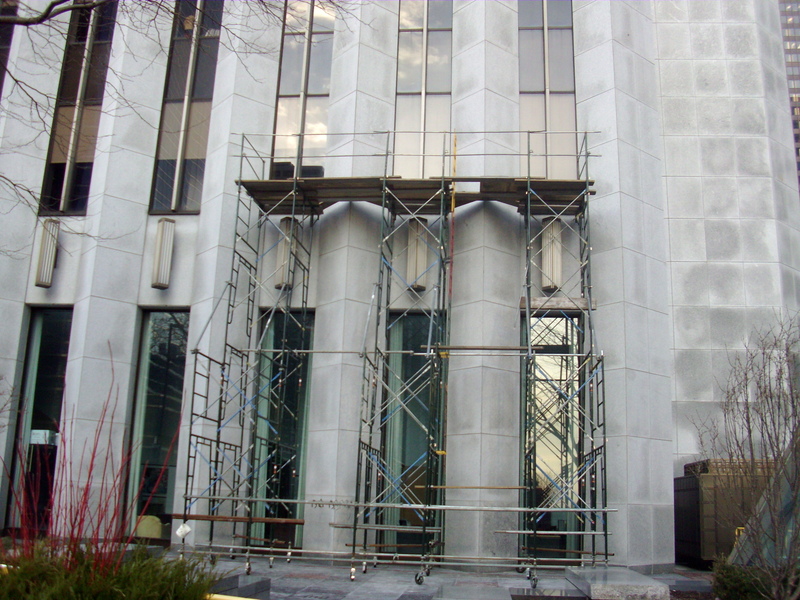 Originally clad with 43,000 slabs of thin Italian Carrera marble, over time, its exquisite surface suffered from permanent warping and cracking, requiring the entire facade to be replaced in 1992 with Mount Airy White Granite caulked with a urethane sealant. 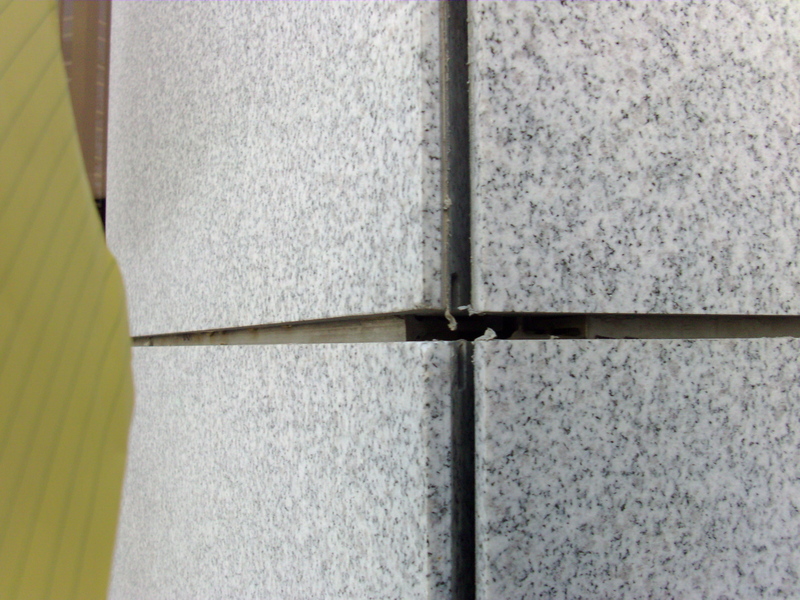 After nearly 20 years, it was clear that the sealant between the granite panels had reached its useful life and needed to be replaced. 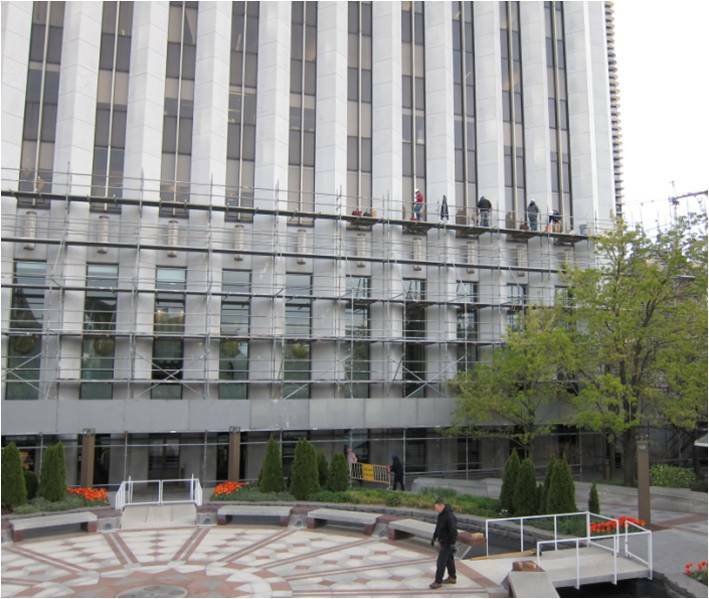 Western Specialty Contractors was selected in 2011 to perform a 100% facade sealant replacement on the building at a cost of $3.1 million. 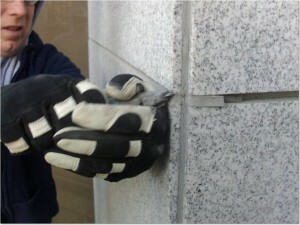 The project took four years to complete (twice as long as projected) and required nearly 100 miles of sealant replacement. 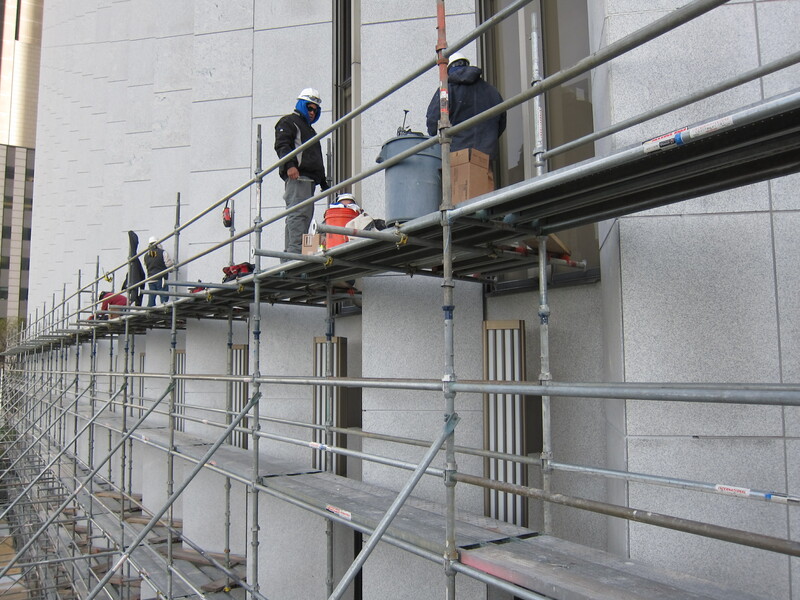 Western crews used a Dow Corning 756 silicone sealant because it was able to be installed at lower temperatures, yielded a longer material warranty and could sustain ultra-violet rays better than a urethane sealant. 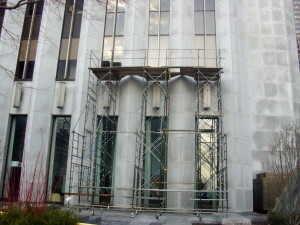 Due to the building’s height and proximity within Chicago’s bustling Central Business District, the site conditions, weather/wind, political events/shut downs (the NATO Summit), logistics and scaffold mechanical issues yielded constant challenges that had to be overcome by Western’s onsite field crews. 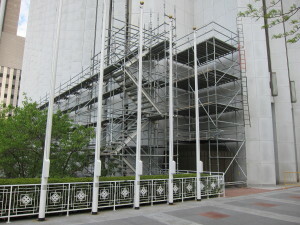 Additionally, it was mandated that Western use the house rig (scaffold) which proved to be unreliable and significantly delayed the project due to daily mechanical issues. 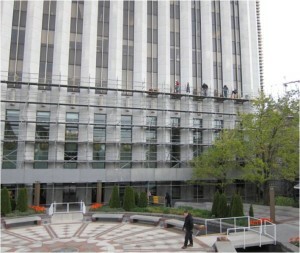 Each working rig was approximately 50 feet long, with three motors and three cables per scaffold. A total of six crew members at a maximum were allowed on the stage at any given time. Working on an occupied building, adjacent to other businesses that are active all hours of the day and night, plus being located across the street from one of Chicago’s busiest attractions, Maggie Daley/Millennium Park, required that Western crews conduct site-specific safety meetings daily, plus limit the times when noisy grinders and caulk cutters could be used on the project (6-9 a.m. and 6-9 p.m.), which created further delays on the project and more challenges. 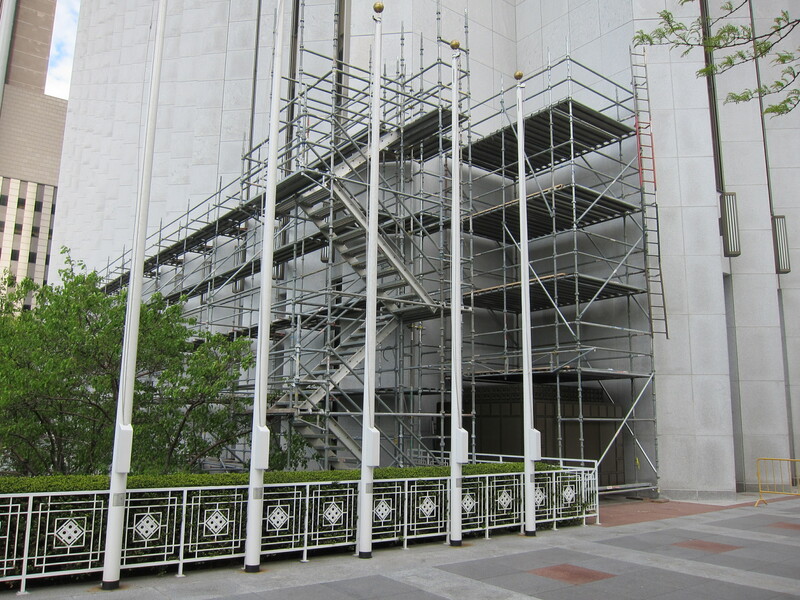 The north elevation of the building posed a particular challenge because it housed both an active hotel as well as an outdoor restaurant, both of which had to be protected with heavy-duty canopies throughout the duration of the repairs. 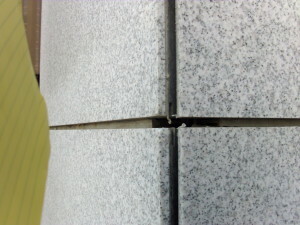 Even a small piece of removed sealant falling from 1,000 feet could pose a hazard to patrons below. The project was completed in June, 2015. Approximately 5,000 days were expended on this project, with Western reporting not a single injury on the job during the entire four years. 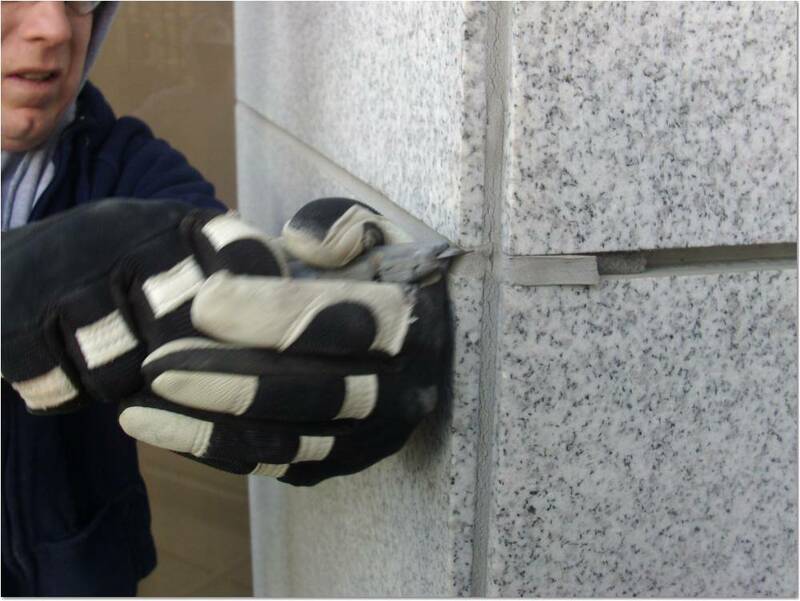 Western is also proud to report that out of 96 pull tests (half by Dow Corning) to check for proper adhesion throughout the project, not a single pull test experienced failure of adhesion.